In the spring of 2017 I joined up with a group of fellow arts consultants and former arts funders to find out what individual artists and culture workers in America thought about the incoming Trump Administration. We created an online survey and 1,100 people from 47 states working in a range of artistic disciplines and types of organizations participated. We also interviewed 15 arts advocates and culture sector leaders. 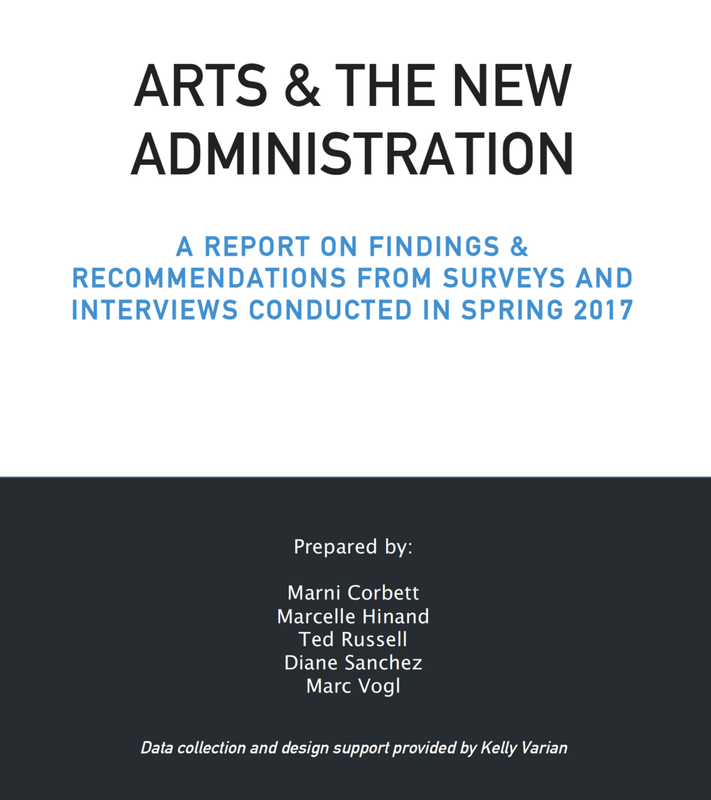 We put together a report that contains findings from our survey and interviews, a synthesis of the comments we collected, key observations from our interview subjects and examples of the different ways artists, arts organizations and arts advocates are responding to the Trump administration. This report includes our recommendations about what we, as a consortium of individuals who care deeply about our country and who have devoted our lives to the ideal that the arts are inseparable from a just, healthy, inclusive society and a fully-realized life, believe we need to do next.